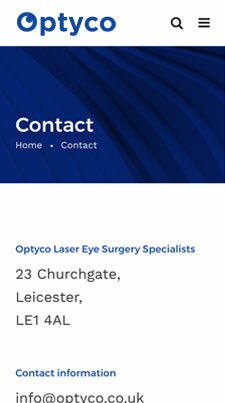 Optyco is a Laser Eye Surgery Clinic based in Leicester providing patients with unbiased advice and offers access to the best Laser Eye Surgery Treatments and techniques available in the UK. 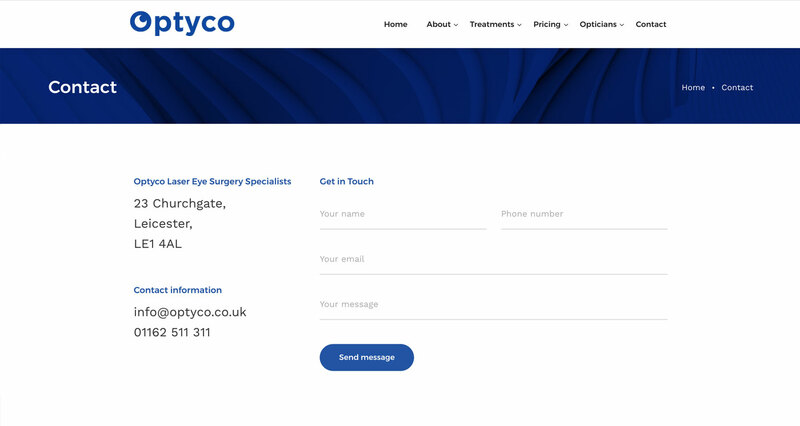 Optyco is a leading laser eye surgery and wanted a new brand website to improve their online presence and marketing efforts. 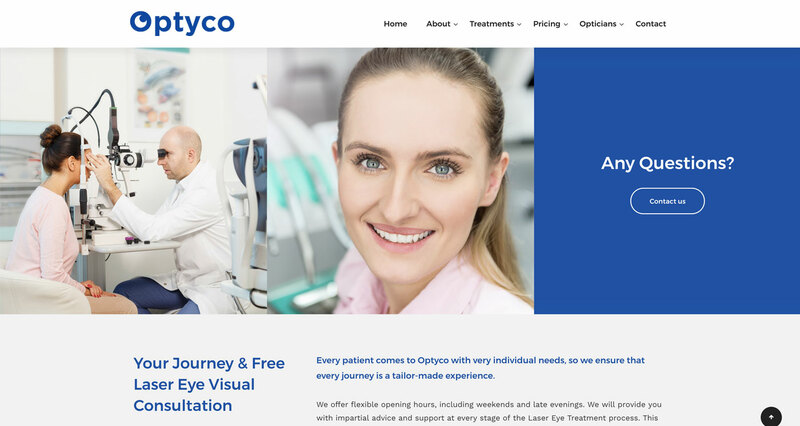 In order to achieve success for this project, it was clear that the branding and web design needed to portray Optyco’s reputation and industry-leading quality services they provide. 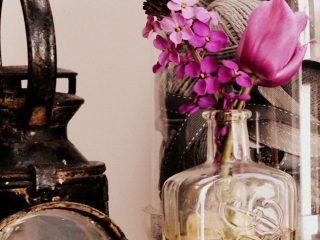 It was important to offer vital information and messages throughout the site in an engaging way. 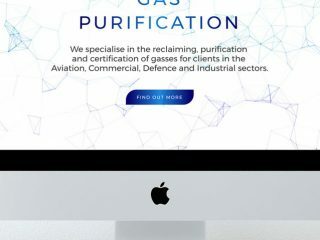 We did this by combining visual elements with clear informative content. Using the new brand guidelines we created, we were able to elevate the brand throughout the site. 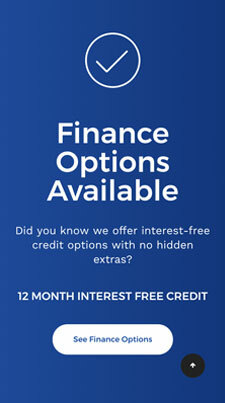 The website is easily navigated and always prompts the user to take action. 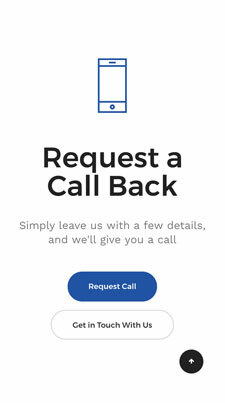 Whether that is to go to the contact page, request a callback, or download an info pack. 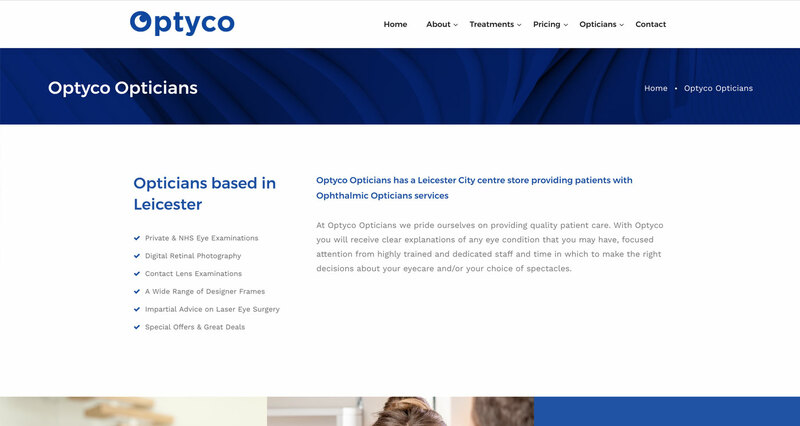 Optyco’s new brand identity is simple, approachable and easily remembered for those all-important brand touch points. 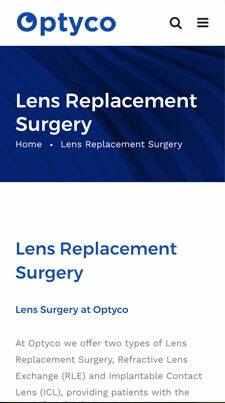 Using a well-design type font, we added a simple element to create an ‘eye’ from the O. A really simple design yet one that works extremely well as a stand-alone logo/icon as well when complemented by photography and other visual elements. 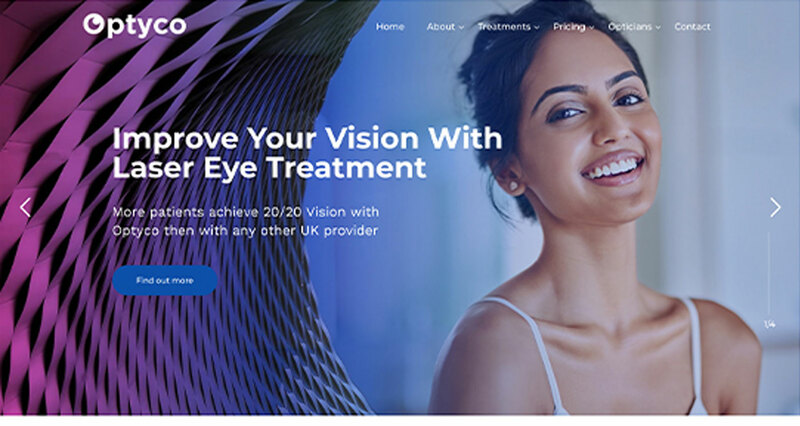 The colour palette also signals the medical and professional industry in which Optyco is in.